Oord was raised on a farm in the small farming community of Othello, Washington. He attended Northwest Nazarene College and graduated in 1988. After four years in pastoral ministry in Walla Walla, Washington, he attended Nazarene Theological Seminary in Kansas City, Missouri. Upon graduating with a Masters of Divinity, he attended Claremont Graduate University in Southern California. He earned a Masters of Arts in Religion and a Ph.D. at Claremont. While pursuing graduate studies, he was a part-time associate pastor in Bloomington, Ca. Oord taught philosophy at Eastern Nazarene College for four years. In 2002, he returned to the Northwest to teach at his undergraduate alma mater. Oord is an ordained elder in the Church of the Nazarene and attends the Nampa First Church of the Nazarene. He serves in various consulting and administrative roles for academic institutions, scholarly projects, and research teams. He and his wife, Cheryl, have three daughters. Why Doesn’t God Prevent Genuine Evil In The World? 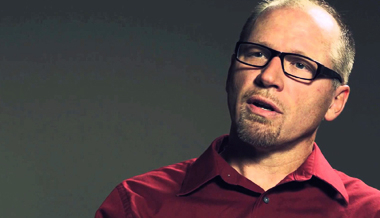 Nazarene pastor and author Thomas Jay Oord’s take on why God allows evil to happen.